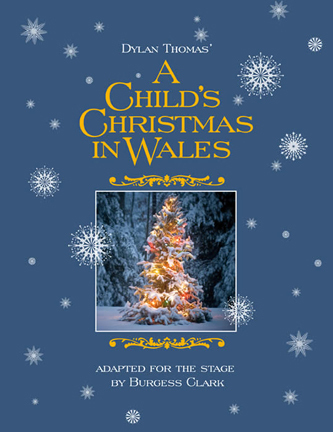 Dylan Thomas’s "A Child’s Christmas in Wales"
Boston Playwrights’ Theatre and Boston Children’s Theatre are once again partnering to present their second annual production of the Dylan Thomas story "A Child’s Christmas in Wales." Playwright and director Burgess Clark has adapted the classic story complete with holiday presents, odd relatives and freshly fallen snow. Performances run December 3 - 23 at the Boston Center for the Arts, located at 539 Tremont Street . The setting is Christmas, 1923, in Swansea, Wales. Will the fire in Mrs. Prothero’s kitchen finally burn the house down? Will a hole have to be cut into the roof for the Christmas pine? And who sent young Dylan that mysterious package? Originally commissioned and performed by the National Theatre of the Deaf, Clark’s adaptation stays true to the best of Thomas’s vision while leading audiences to new wonderments. The company features Steven Barkhimer, Margaret Ann Brady, Shana Dirik, Franci DuMar, Adam Freeman, Anne Gardiner, Meagan Hawkes, Coleman Hirschberg, Stephen Libby, Allan Mayo and Robert D. Murphy. Burgess Clark assumed leadership of Boston’s oldest theatre company, Boston Children’s Theatre, in 2008. BCT has since enjoyed immense popularity and profile among teachers, students and the community, having renewed it’s standing as a theater for young people. A 30-year theater professional, Burgess was nominated in 1991 and 2007 as a “Distinguished Teacher in the Arts” by the National Foundation for Advancement in the Arts for encouraging and supporting students with exceptional artistic achievement.